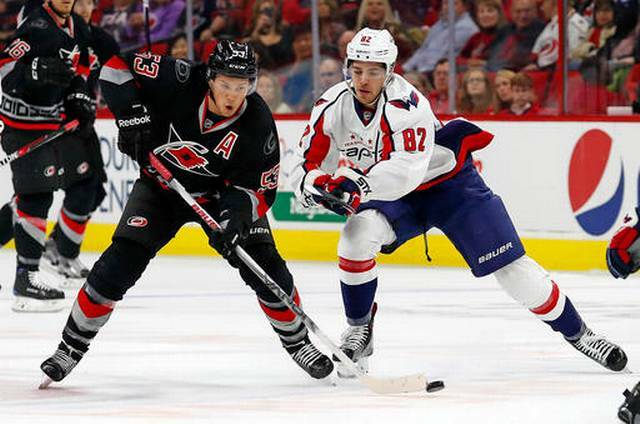 The Carolina Hurricanes beat the Washington Capitals 5-1 Saturday night. Washington struck first with a goal from forward Evgeny Kuznetsov at the 12:02 mark of the first period. Defenseman Dmitry Orlov relayed the puck to Kuznetsov on a break-away for the goal’s primary assist. After Kuznetsov’s goal, the Capitals’ offense went dormant. “It happens but we shouldn’t be making any excuses because everybody goes through [this type of game],” Washington defenseman Matt Niskanen told Comcast Sports Network. For the remaining 47 minutes and 58 seconds, the Hurricanes led the charge. Carolina scored five unanswered goals, the first of which came from the 19-year-old forward Sebastian Aho. His goal, 35 seconds after Kuznetsov’s, was the first of his career. Aho added an assist on a goal from Hurricanes forward Teuvo Teravainen in the 18th minute of the game. Teravainen’s score put Carolina ahead 2-1. Aho struck again with 3:50 remaining in the game for an empty net goal. His two goals and one assist earned him three points on the night. Hurricanes forwards Jordan Staal and Victor Rask each contributed a goal in the second period. Staal earned four points, as did Teravainen. “I think they had a tough game last night and we wanted to get the jump on them early and that’s what we did,” Staal said, according to ESPN. Staal’s fourth point of the night was the 400th of his career. The Capitals rested goalie Braden Holtby for their second game in as many days. Goalie Philipp Grubauer started for Washington Saturday night. The Capitals’ defense did little to give Grubauer a chance to succeed, as Hurricanes consistently surrounded the crease. In the first period alone, Carolina had nine scoring chances. The Hurricanes put 31 shots on goal in the first two periods to the Capitals’ 16. Carolina outshot Washington 38-21 on the night. 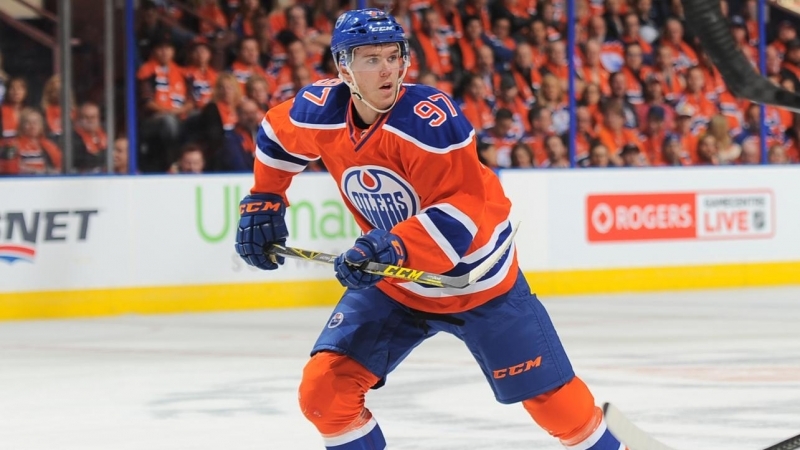 Though Grubauer allowed four goals while on the ice, he fought off shots, resorting to splits multiple times. Altogether, the Capitals allowed five goals for the first time this season. Carolina’s five-goal game was its first of the year. Washington dropped to 9-4-1 but remained in third place in the Metropolitan Division. Carolina improved to 4-6-4 and continued to hold eighth place in the division. The Capitals face the Blue Jackets in Columbus Tuesday night. The Hurricanes host the San Jose Sharks Tuesday night.